For us South Indians, Deepavali was yesterday. Since we live in the north, we celebrate on both the days – yesterday and today. Some of the traditions that we follow for Diwali celebrations are – applying sesame oil heated with peppercorns, on our heads early in the morning and taking bath; eating “Deepavali marundu” a halwa like medicine that is prepared specially for Deepavali and lasts till the end of winters; make sweets and savoury items – something should be deep fried on Diwali day; and of course wear new clothes. 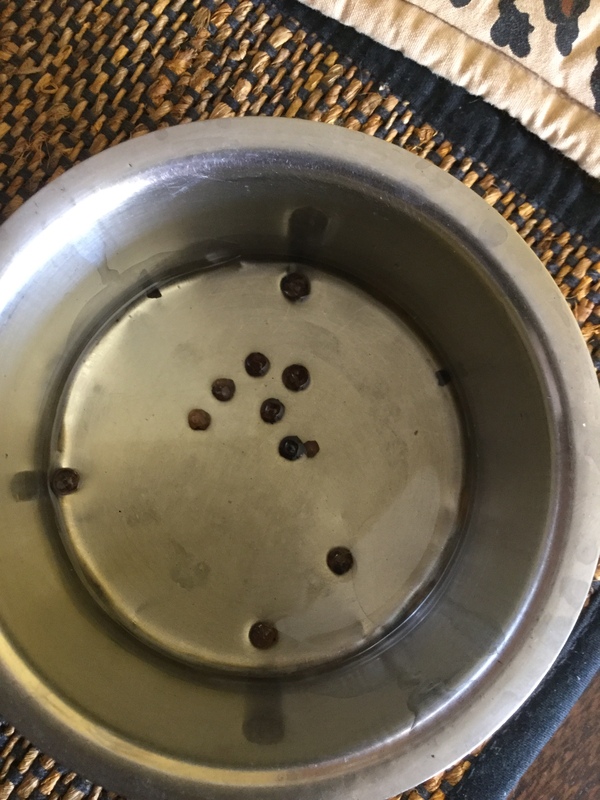 We did do the “Ganga Snanam” after applying the sesame oil with peppercorns, but not early in the morning as we got late waking up. So went around the tradition a bit to have “Deepavali Marundu” and coffee before taking bath ! 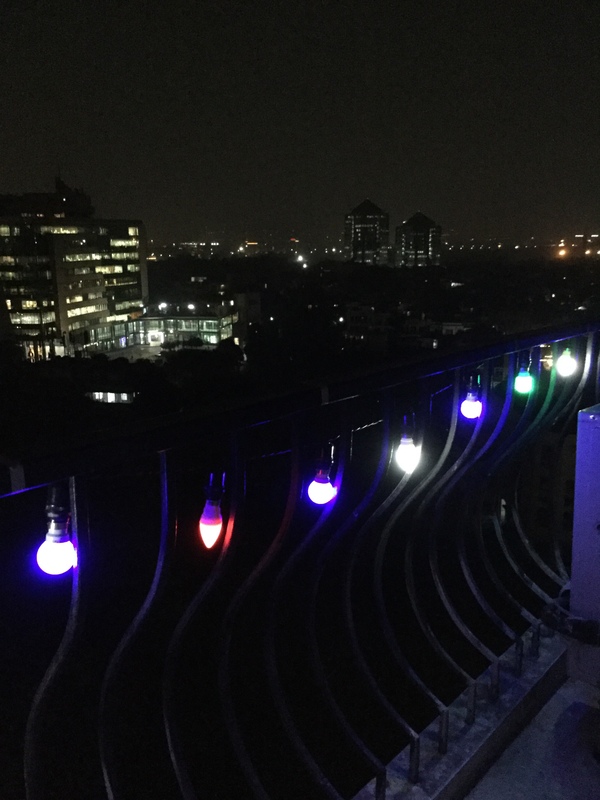 Read on this link about how to make the Deepavali “Marundu”. Its my grandmother’s recipe and Appa would make the spice powder for a couple of years and store it. This time I purchased all the spices required from the website called spice market – http://www.thespicemarket.in. Amma then roasted and powdered them. The cold press juicer is very handy as it makes the ginger juice in a breeze without the need to add water. 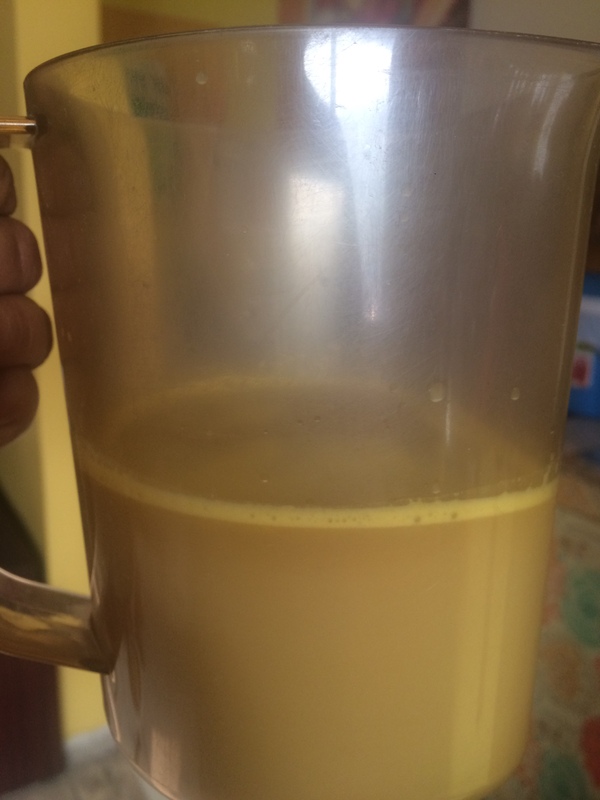 We needed 500 ml of fresh ginger juice and it got done in no time. 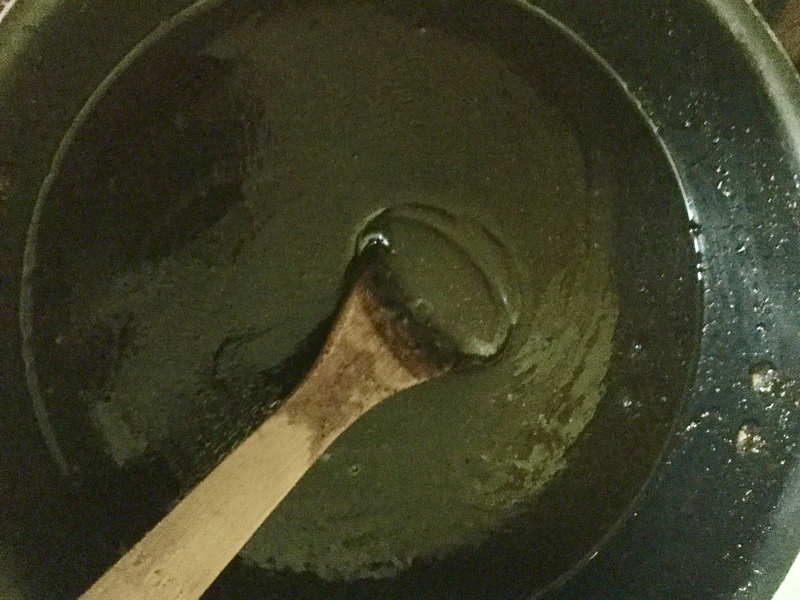 OPOS helped with the jaggery syrup and the induction stove made it easy to solidify the mixture to the right consistency. The whole thing could have been OPOSed, but Amma likes to make it her way and its fine with me as I am able to help with reducing the amount of time and stirring that is involved. Yesterday I made the OPOS Akkaravadisal or more popularly known as “Chakkara Pongal” (Sweet Pongal) for lunch. Amma made Paruppu Vadai (dal vada) as the savoury item. We shared some with Ashish (our house help) and his family as Diwali prasad. Later in the evening I made OPOS Peanut Chikki using Uthra Vivek’s recipe. The chikkis taste awesome, but are a little sticky because of the jaggery being a little more chewy. Will do another batch today and post pics if I get them non-sticky :). Today the celebrations started off with homemade OPOS Pista Katlis – made three batches and shared with the milkman Roshan Lal Ji, the garbage collector and Bunty, our dhobi. I will be making a few more batches to share with the vegetable vendor and the security guards. I had planned on cooking lunch for the security guards and the housekeeping staff today, but have been a little under the weather, so didn’t take it up – its cooking for 130+ people and I have never cooked for more than 20 people ! Even with RK’s encouragement and support on quantities to cook, I wasn’t upto it this time. The new sari will be inaugurated in the evening today. I don’t know if you sense a slight demoralisation in my narration but I am feeling sad this Diwali. I am sad about the Sabarimala issue – having policemen guarding a holy place just to ensure that a tradition and belief can be broken for a certain community is demoralising. Having friends talk about it in terms of “womens equality” and “Menstruation taboos” without truly understanding the spirit of the Sabarimala temple is sad. I am also sad about the Ayodhya Ram Mandir not being a priority for the Supreme Court as stated by them. Ayodhya is synonymous with Bhagwan Ram and how can an invader’s mosque have more importance than a temple for Shri Ram ??? I have always struggled with this warped logic. I am not a Ram Bhakt, because Shri Ram is too disciplined and rules driven for my liking, but that doesn’t change the fact that he is worshipped by millions and that he was born in Ayodhya. Even if its not a fact but a belief, that belief predates all other beliefs by thousands of years. I am also disturbed by the cracker ban in Delhi that surprisingly and mysteriously got extended to all India !! Again, am no fan of crackers, have never bought any and don’t plan to buy now, but I struggle to see the logic in banning crackers for the sake of pollution. The Delhi government sleeps through the year like Kumbhakarna and the Yugpurush CM wakes up just before Diwali and all his “activist” friends immediately ask for a cracker ban which is granted. The air quality is not a one day phenomenon… construction happens right through the year and trees are cut through the year for plush houses that the very same activists buy as second and third homes, poisonous gases are let out in the air by coal burning power plants in Delhi or its vicinity, everyone is allowed to buy 3, 4 or 5 cars, the promised buses are not bought, even waste doesn’t get segregated at source and landfills catch fire or the stench just kills people… one of the landfills “fell” onto the road killing a few people last year but nothing changes. If Punjab and Haryana farmers burn stubble, has anyone bothered to know the real reason ? Do read this article – https://www.sundayguardianlive.com/news/12191-law-aiding-monsanto-reason-delhi-s-annual-smoke-season. So now USAID and Monsanto will tell us when to sow, when to harvest and when to choke ourselves to death …. and Ford Foundation will fund a certain party that does nothing to combat pollution but certainly asks for a cracker ban. If one can’t connect the dots, pray to Prabhu Ram. 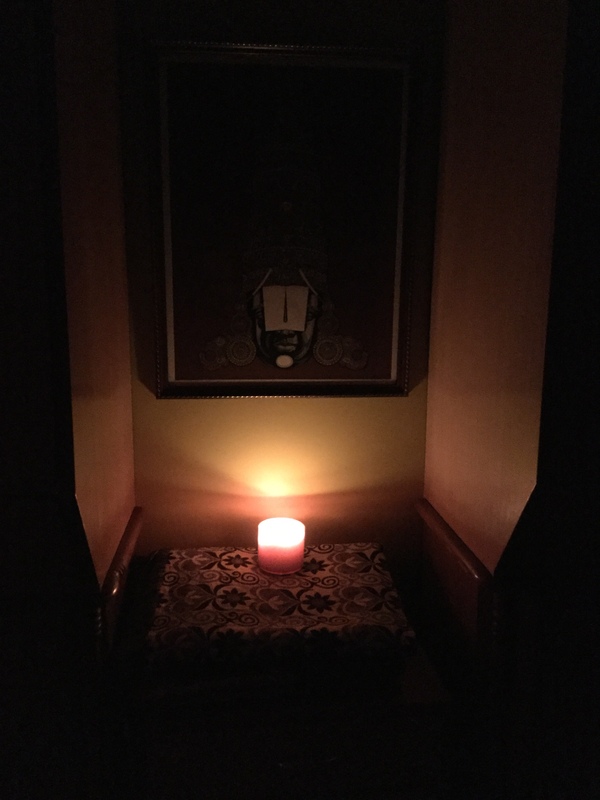 My sadness will soon go away as I listen to my master Osho or see the 3 lakh lamps lit on the banks of River Sarayu in Ayodhya. Am celebrating as millions are for we shall prevail, Krishna will play on the flute, Ayyappa will ride his tiger, Shiva will dance and Maa Durga will protect. Leadership Lessons from Bhagavad Gita #32 – Rules ! Thanks Todd. 🙂	Wish you a great Diwali too.